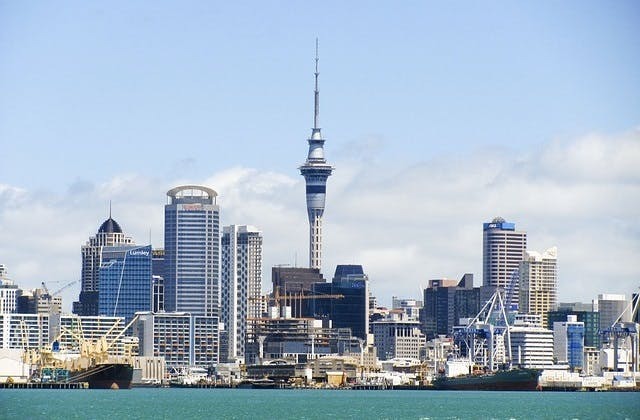 Cheap Flights to Auckland, New Zealand. Return Flights. Auckland is a modern city situated at the north island of New Zealand. The city is one of the fastest growing cities of the world going by present settlement trends. It is the biggest urban area in New Zealand with a population of 1.5 million residents. Not only is it the largest city of New Zealand, it also has the largest percentage of Polynesians compared anywhere else in the world. The climate is warm to temperate with mild winters. In the Polynesian language Maori, the name of Auckland is 'Tamaki-makau-rau'. In 2009 the 'Mercer quality of living survey' put Auckland fourth on its list of most desirable cities of the world to live in. The Hotel Novotel Auckland Airport is within a km from Auckland airport. The IATA airport code for Auckland is AKL. The nearest international airport to Auckland is Norfolk Island in Australia. It is 1,089 kilometres away.